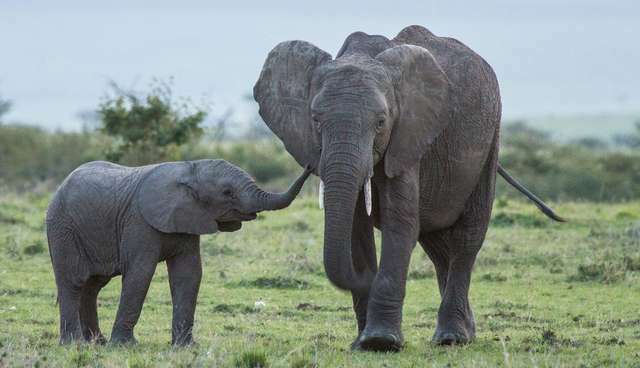 A tourist snapped a photo: a 10-month-old baby elephant frolicking alongside her mother in the Maasai Mara region of Kenya in 2014. Occasionally, the baby tucked herself between her mother's legs to suckle milk. The baby and her mother appeared happy, peaceful, alive. Twenty-four hours later, a different scene unfolded. The same tourist found the baby elephant standing over the body of her dead mother. The mother had been killed with a poison-tipped spear that punctured her cheek. 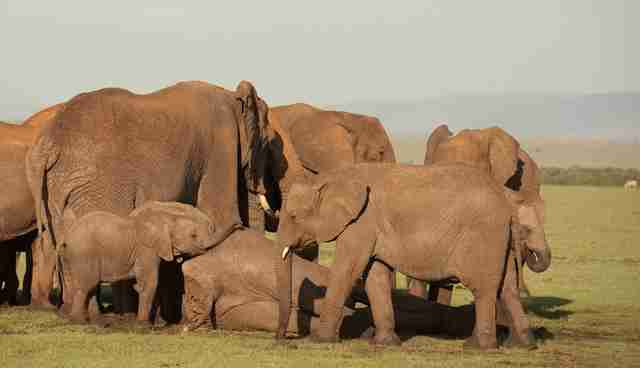 The rest of the elephant herd encircled the distressed infant and her lifeless mother, touching them with their trunks. 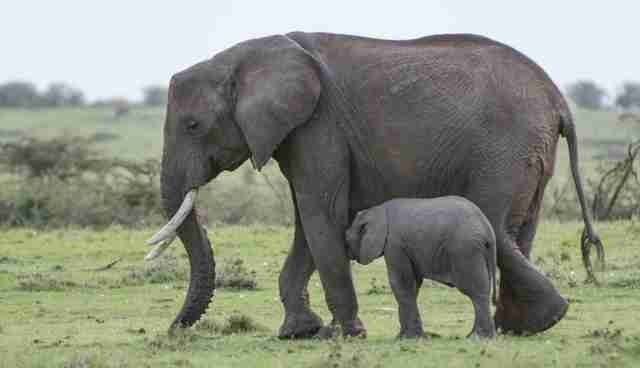 Without her mother's milk, the infant would grow weaker and weaker, and eventually die. 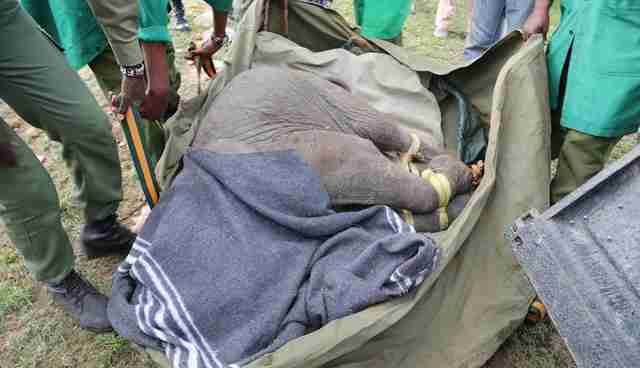 Realizing the baby's life was at stake, the tourist reported the tragedy to the Mara Elephant Project and Kenya Wildlife Service. These groups worked with keepers from the David Sheldrick Wildlife Trust (DSWT) to rescue the milk-dependent baby, whom they named Roi. The hardest part of the rescue was separating Roi from the herd. The matriarch of the herd - also a lactating female with a calf - acted very protectively of Roi. It might seem reasonable to believe this female elephant would adopt Roi, but a lactating mother can't produce enough milk for two calves. In fact, when Roi tried to nurse from this other female, she shooed Roi away, not prepared to deprive her own baby of milk. Luckily, the DSWT keepers have plenty of experience rescuing orphaned elephants. They managed to separate Roi from her herd before the elephants ran off with her. 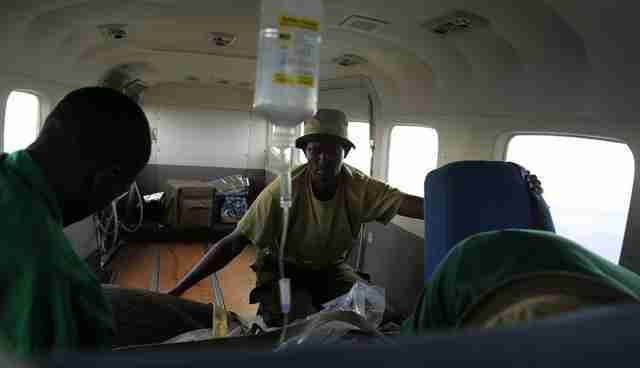 Then they got Roi into a chartered plane and flew her back to DSWT's elephant orphanage in Nairobi National Park in Kenya. To keep Roi warm, the keepers wrapped the infant in a blanket, and they hydrated her body with an IV drip. Once Roi arrived at the orphanage, she was given medical attention and a bottle of formula, which she thankfully drank without a fuss. Roi would have been understandably distressed in an unfamiliar place without her mother, but she quickly adapted to life at the orphanage, basking in the love and affection she received from the keepers and the other elephant orphans. She now spends her time taking mud baths, chasing warthogs and playing with her elephant brothers and sisters. Roi's story, unfortunately, is all too familiar. An estimated 36,000 elephants are killed annually for their ivory, and each pound of ivory can fetch prices up to $1,500. In 1989, the Convention of International Trade in Endangered Species of Wild Fauna and Flora (CITES) actually banned the international commercial sale of ivory, although ivory continues to be bought and sold in a vibrant black market. China and the United States are the two largest markets for illegal ivory. According to Amie Alden of the DSWT, Roi is among 31 infant elephants being cared for at the elephant orphanage in Nairobi National Park. There are also 89 dependent elephant orphans at their nursery and reintegration centers in the Greater Tsavo Conservation Area in Kenya. "Between 2003 and 2013, at the height of the second elephant holocaust, there was a 500 percent increase in the number of elephant orphans we rescued," Alden tells The Dodo. 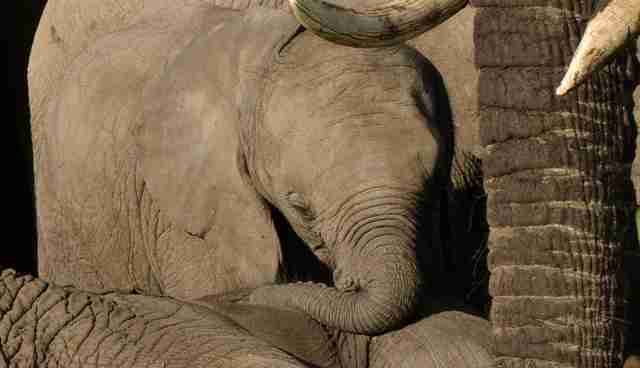 The first elephant holocaust took place in the 1970s and 1980s. But Kenyan authorities are fighting back. At noon Saturday, April 30, 2016, authorities will burn the tusks of approximately 6,000 illegally killed elephants to highlight the poaching crisis. 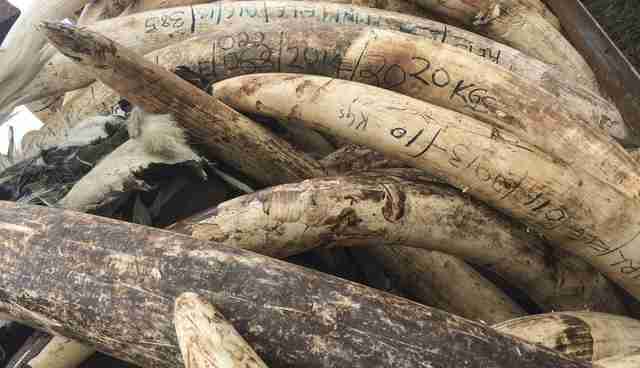 That's 105 tons of elephant ivory, stacked in 11 pyres. 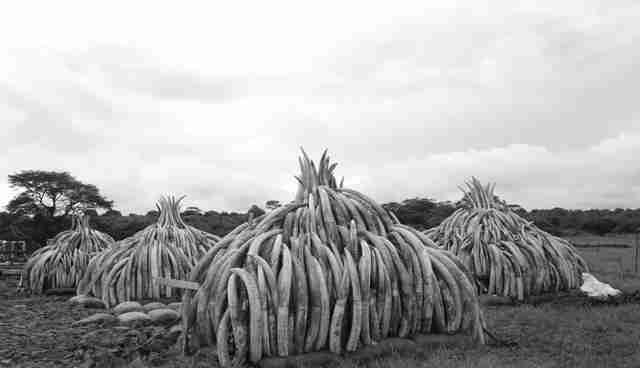 While Kenya has held ivory burns in the past - the first one taking place in 1989 - this will be the largest ivory burn in world history, with seven times the amount of ivory previously burned in a single event. "This is a statement to the world that Kenya's elephants are worth more alive and its elephants are not theirs for the taking," said Rob Brandford, executive of the DSWT (UK), in a statement emailed to The Dodo. Among the piles of ivory will be two tusks belonging to Roi's mother - the mother who was supposed to give Roi milk, protect her from danger and teach her baby everything she knew. "Despite her tragic start to life, Roi now has a new elephant and human family at our elephant orphanage in Nairobi National Park, Kenya, and has thrived among our keeper-orphan herd," Brandford wrote to The Dodo. "But, ultimately, it is her mother that should be raising her; to teach her what plants are safe to eat, elephant society and how to behave." 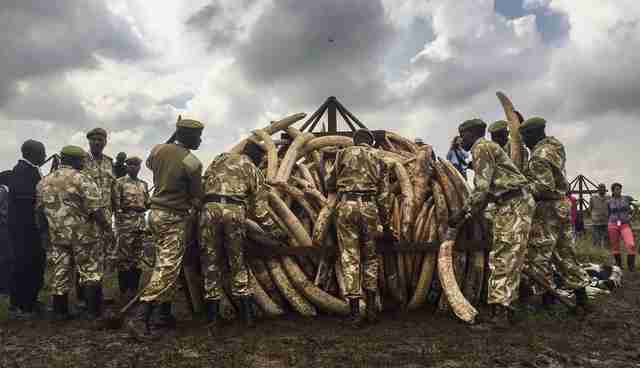 Kenya's president, Uhuru Kenyatta, other heads of state, high-ranking U.N. and U.S. officials, and representatives from charities such as DSWT will watch the tusks of Roi's mother and thousands like her burn to ash on Saturday. "Tomorrow as we watch the pyres go up in flames and mourn the fallen, our Keepers, the brave DSWT/KWS Anti-Poaching Rangers and our entire field operations will be hard at work, as they are tirelessly every day, continuing the fight for their survival in partnership with the Kenya Wildlife Service," Brandford said. "The tide is beginning to turn, and we will be there until this fight is over." Want to help baby elephants like Roi and her mother? 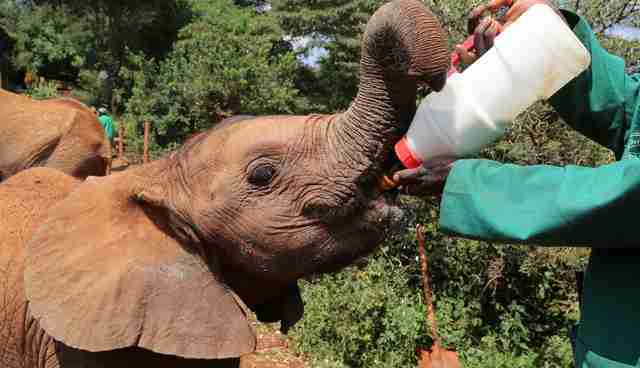 Consider donating to the David Sheldrick Wildlife Trust.